How does my medication affect my oral health? 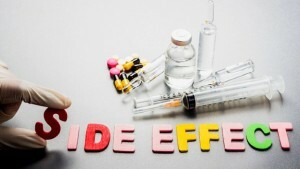 Generally, many people take medication to make them feel better, but like most medication it comes with side effects, and there are plenty that affect the mouth. Vitamins, minerals, and herbs can also have a negative effect on your oral health. It is very important to list and tell your dentist of all the medication or vitamins that you are currently taking both over-the counter- and prescribed. The most common side effects to the oral health that come with medication are dry mouth, taste change, abnormal bleeding, discoloration and inflammation of gums and tissues. Some medication causes xerostomia (dry mouth).The medication causes a reduction in saliva causing an uncomfortable irritation inside the mouth. There are hundreds of medications that can cause this type of problems that most common ones are antihistamines, antidepressants, seizure medications, muscle relaxants, and high blood pressure medications. Dry mouth can cause a risk in gingivitis, and tooth decay. If you think that your medication is causing dry mouth talk to your doctor. Your doctor can switch to a different medication or give you tips on how to help with dry mouth. Taste changes can occur when taking some medications. They can make food taste salty, bitter, or a metallic taste in your mouth. These types of changes are common on elderly patients who take more than one type of medication. This feeling usually goes away after you stop taking your medication, but you have to talk to your physician about pro and cons of stopping medications. Some common types of medication are chemotherapy drugs, like methotrexate or doxorubicin. Some antibiotics, heart medications, iron deficiency, diabetic medication, cholesterol lowing medications, and more. Tooth discoloration is common when taking some medications. Tetracycline has a connection with children having brownish-yellow teeth. Doctors discovered that the use of tetracycline during pregnancy led to children having stains in their teeth. Tetracycline is not recommended during pregnancy or children under the age of eight. Not only medication can cause a tooth to change color. Vitamins or too much fluoride can create white spots in the tooth enamel. In extreme fluoride cases it can lead to permanently stained brown teeth. It is important to read the risk and benefits when taking any type of medication. There is some medication that causes gums to swell or to turn red. The most common would be anti-seizure medication and blood pressure medication. It is very important to brush and floss correctly when taking this medication. Brushing and flossing will reduce the chance of you having periodontal problems or caries. This entry was posted in dentist, santa ana, smiles on bristol, Uncategorized and tagged dentist in santa ana, Medication and Oral Health, santa ana dentist, smiles on bristol dentistry on May 4, 2016 by Francisco Torres. If you are experiencing a dental emergency, it is important to seek professional help as soon as possible. If it is after hours, your local office will usually have an emergency line you can contact. If you are experiencing bleeding that will not stop, injured jaw, painful toothache, or loose or knocked out teeth and you can’t get in contact with your dentist visit an emergency room. Here are a few tips on how to handle common dental emergencies. Broken Tooth: Save any piece of the broken tooth, and apply a cold compress to the site of the broken tooth to decrease any swelling and pain until you are seen by your dentist. Rinse your mouth using warm water. Make sure to bring the broken piece of tooth to the appointment if it’s possible. Knocked Out Tooth: If your tooth is loose or knocked out rinse the tooth but do not remove and attached tissue. If it’s possible place the tooth in a glass of milk and go to your dentist right away. If you can’t place it in milk you can place it underneath your tongue or between your cheek and tooth. There is a chance the tooth can be placed back. Injured Jaw: If you injured your jaw place a cold compress to the area of the injury. If your jaw locks and can’t go to your dental office, you can go to the emergency room. Toothache: Rinse your mouth with warm water, and floss between the teeth to make sure there isn’t any food causing the pain. Visit your dentist as soon as possible to avoid any further damages to your tooth. Abscess: If you see a bump or swelling on the gum area, you can rinse with warm salt water and contact your dentist as soon as possible. 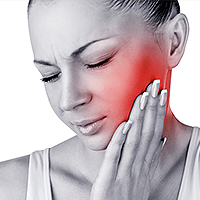 The dentist can help you relieve you from pain and most important drain the abscess. If dental abscess is left untreated it can spread to other parts of the body and can damage tissue and surrounding teeth. Broken Filling: For broken or loose fillings, you can place an over the counter dental cement on the tooth with the broken or loose filling, or place a sugarless gum until you see your treating dentist. Loose Crown: If a crown falls off see your dentist as soon as possible and bring the crown with you. There is a chance the dentist can re-cement if there is no cavity or other problem on the tooth. Make sure you have the dentist check the tooth before trying to re-cement it yourself. 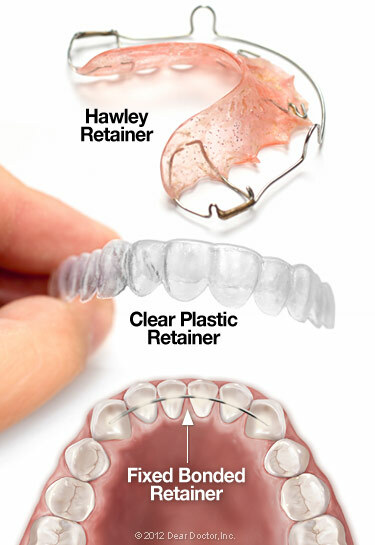 Broken Braces and Wires: If you have orthodontic treatment and you feel poking from a bracket or wire you can place wax to the sharp side to avoid any discomfort. See your orthodontist as soon as possible. This entry was posted in Uncategorized and tagged Dental Emergency on April 7, 2016 by Francisco Torres. Baby teeth are very important to parents and to the team at Smiles On Bristol from the beginning of their existence to the end. These mini chompers allow baby to chew and speak properly and not only that but baby teeth have a very important purpose to save space for when permanent teeth start to arrive; and also it begins a start for good oral hygiene. Baby teeth development usually begins before the baby is even born. Even if development begins before baby is born, these baby teeth are kept under the gums and don’t show up until baby is about 6 months to a year old .Teething can be as adorable and painful as it sounds. The teething is a process which can cause irritation on infant’s gums however, there are several methods which can help ease this irritation. Several things you can do to help relieve this irritation are massage your baby’s gums with a clean finger, a cool spoon, cold or wet washcloth this will all help to ease the discomfort. 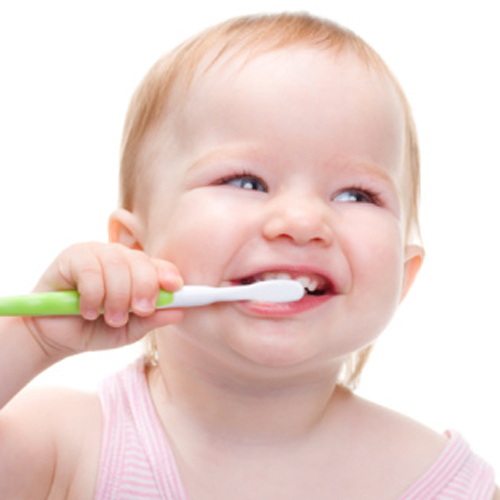 As the first baby teeth start to appear the brushing begins, how might brushing baby teeth are important you might ask? Well this allows the child to begin the good practices of oral hygiene. Baby teeth basics are a must, as soon as you see the eruption of a baby tooth you should begin to brush to prevent from any caries. It is never too early to start brushing your baby’s teeth. Prevent caries by also making sure baby doesn’t sleep with bottle containing any sugary drinks, milk or even breast milk, make sure baby doesn’t sleep with pacifier that has been containing any sugar. To prevent from having overcrowded or crooked teeth make sure infant isn’t going in the direction of thumb-sucking. Another care basic for baby teeth and also adult teeth, retain from allowing too many sweets, sugary drinks such as: juice, soda, etc… Floss at least once at day once all baby teeth have arrived to prevent from any build up at early childhood. This entry was posted in dentist, santa ana, smiles on bristol, Uncategorized and tagged baby teeth, dentist in santa ana, santa ana dentist, smiles on bristol dentistry on March 31, 2016 by Francisco Torres. 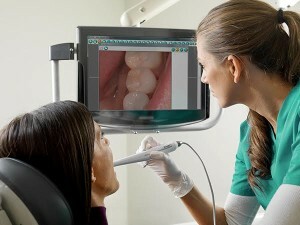 Dental X-rays are very important part of a dental exam. Dental X-rays help the dentist see any problems that are going on, on your teeth, gums, and jaws. They can detect problems like tooth decay, periodontal disease, and impacted teeth. They can also detect more severe problems like bite problems or even tumors. Most of these problems are not visable to the naked eye, and therefore x-rays are taken. There are different types of x-rays that the technician take so the dentist can give a better diagnostic. The most common type of x-ray is a bitewing x-ray. The bitewing x-ray shows how the posterior teeth occlude.In a bitewing x-ray only the crown part of the tooth will show.In this type of x-ray the dentist can check for decay in between the teeth.Decay in between the teeth is very difficult to diagnose without and x-ray. This type of x-ray can show if there is severe bone loss, or how the upper and lower teeth line up. 4 bitewing x-rays are taken in an initial full dental exam. 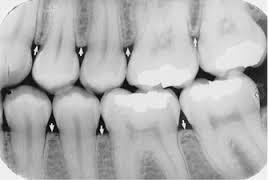 Another type of dental x-ray is a periapical x-ray. 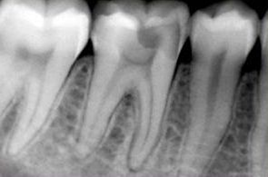 Periapical x-ray show the entire tooth from the crown to the end of the root. Periapical x-rays are used to help dentist diagnose for impacted teeth, abcess, bone loss, cysts, or fractures. These x-rays are also taken in all intial exams and are usually 14 periapical x-rays for adult first exams. Occlusal x-rays are not so common but are taken in some occasions. This type of x-ray show the floor and roof of your mouth. These are use to find extra teeth in the mouth or jaw fractures. Panoramic x-rays are taken when starting orthodontic treatment. Panoramic can detect impacted teeth, abnormalities, cysts, or abcess. This entry was posted in Uncategorized and tagged santa ana dentist, smiles on bristol dentistry, Types of Dental X-Rays on March 28, 2016 by Francisco Torres. What do your teeth really consist of? Our teeth are broken down into two parts, the crown and the root. The crown is the part of the tooth that is visible to everyone and the root is the part of the tooth which is non able visible. 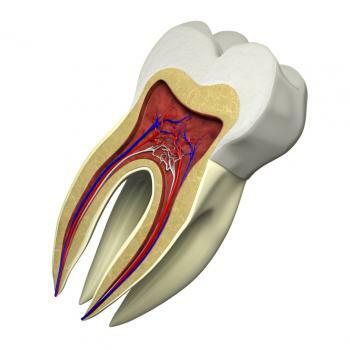 The root is beneath our gum line this root helps anchor our teeth to the jawbone. Our tooth are structured of several components first comes the tooth enamel, second come the dentin and lastly comes the pulp chamber. What is tooth enamel you might ask? This is the protective covering of our teeth. Just like our skin has been designed to protect our body, our enamel has been designed with the same purpose to protect our tooth. 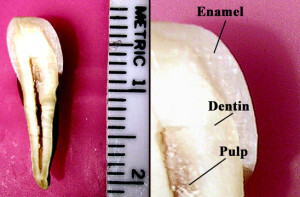 The tooth enamel is the part of our tooth that is visible since it is the coating that makes up the crown of our teeth. This enamel is a very tough coating which protects the tooth from a everyday wear and tear. Not to mention the enamel is the hardest tissue in the human body which was intentionally made for all the chewing, biting and grinding. This tooth enamel appears to be white in most cases but it is actually translucent, which causes to be easily stained when teeth are not brushed and flossed daily. To prevent some discoloration on tooth enamel good oral hygiene should always come in hand. Tooth enamel not only helps us for chewing, biting, ect., but is also the protection for our dentin. Dentin is another part of what our teeth consist off; this dentin is what makes up most of our teeth. Dentin is a yellow almost like bone made out of cells called odontoblast. This dentin gives our teeth the finish touch of a bright white look since our enamel is very translucent. If enamel starts to wear off, our teeth might start to look more dull and yellowish which is because only dentin is being left. What comes after dentin? After dentin we have our pulp chamber in other words the heart of our teeth. Without the pulp chamber we would never be able to tell if there is anything wrong with our teeth since that is where the feeling comes out off. This pulp chamber is protected first by the enamel, and also it is also protected by dentin which covers most portions of our teeth. Without all these components our teeth would be weak and would not allow us to have proper way of chewing or biting. Also if cavities have passed the dentin to the pulp chamber that is when a root canal comes in place to kill the nerve the feeling of our teeth. To protect all these components you must brush twice a day and floss daily, also don’t forget to visit your Santa Ana Smiles On Bristol Dentistry Office for your twice a year regular checkups. This entry was posted in Uncategorized and tagged The Anatomy of our Teeth on March 18, 2016 by Francisco Torres. Smoking can lead to serious health issues like lung disease, heart disease, and stroke. There are ingredients in cigarettes that attack vital organs. The most common problems smokers face is lung problems. Did you know that smoking also affects your oral health? It can lead to problems like staining of the teeth, bad breath, periodontal disease, oral cancers, and many more. It is very important to stop smoking or limit the amount of smoking because of the effects that it has on your health. 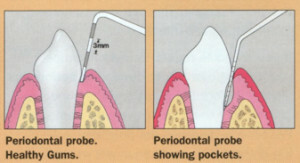 Smoking leads to periodontal problems. Smoking stops the salivary glands from saliva flow, causing dry mouth. The stop in saliva makes the mouth more vulnerable for plaque to build up on your teeth. The buildup affects the gum and causes them to recede. The buildup also affects your bone, and if its left for long times it causes to the bone to recede and this bone does not grow back. Chewing tobacco or smoking can also lead to oral cancer. This is because of the ingredients that are in the cigarette or tobacco. The first signs of oral cancer are swelling or lumps inside the oral cavity, sores that do not go away within two weeks, bleeding constantly from the mouth, and difficulty swelling or chewing. There are also not visible signs and dentist use a special light to spot abnormalities. These are key signs that you should see a dentist if you have been smoking or chewing tobacco for a long time. 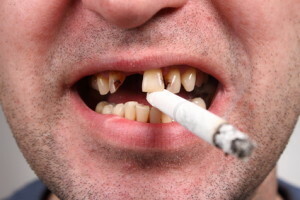 If you have missing teeth and are planning to replace those teeth it is very important to quit smoking. If you plan on an implant it is very difficult for an implant to be successful. The surrounding tissues will have trouble adapting to the implant causing it to fail. Dental bridges will be very difficult to match because of bone lost. Our Santa Ana dentist Dr. Danial Kalantari gives tips to his patients on how to find alternatives to quitting. He tells them to try chewing gum if they feel the need to chew tobacco or exercise if they find an urge smoke. This entry was posted in Uncategorized and tagged santa ana, smiles on bristol dentistry, smoking on March 18, 2016 by Francisco Torres.